If you’re looking for a retirement community that makes it easy to go boating and fishing whenever you want, make sure you take a close look at Lake Griffin Harbor. 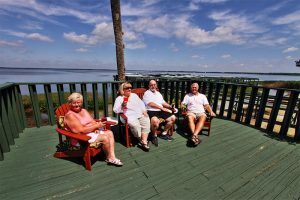 Our gated community for adults 55 and older is located on one of the most beautiful lakes in Central Florida. With more than 9,400 acres of aquatic paradise to explore, Lake Griffin not only offers some of the best bass fishing in the Sunshine State, but it also connects to the extensive Harris Chain of Lakes, which provides even more opportunities for boating and fishing. What’s more, there’s a 55-slip marina and an additional dry storage area available for residents who bring their own boats. Plus, our location in Leesburg is located within convenient driving distance of theme parks, sporting events venues, beaches, and other attractions that make Central Florida the ideal spot for a retirement community. Contact us today for more information and to schedule a tour of beautiful Lake Griffin Harbor.